Susan Darlene Shy, age 61, passed Sunday, July 30, 2017, at Vanderbilt Medical Center in Nashville. She was born December 12, 1955 in Fayetteville, Arkansas. She was a graduate of Belmont University then went on to obtain her masters degree. She is survived by her mother, Alpha May Brooks of Bella Vista, Arkansas; one sister, Trisha (Ray) Hoback of Bella Vista, Arkansas; long-time significant other, Curt Winter; two children, Christopher (Jennifer) Bristow of Bellevue and Mandy (Jimi) Lampe of Mt. Juliet; as well as one grandson, Cole Lampe. She was preceded in death by her father, James Stewart. A private family service is planned for Saturday. Our thoughts and prayers are with you. 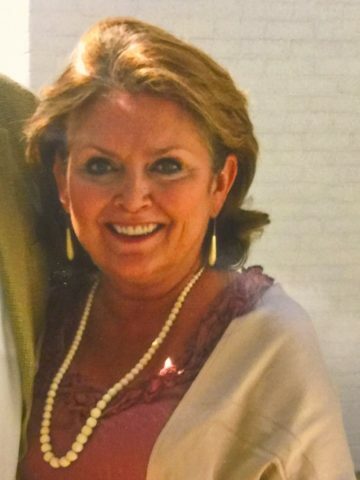 Susan was a part of our Country Villas community and will be missed . We are so sorry for your loss. So sorry for your loss of someone so dear to you. May God grant you peace and comfort now and in the days to come. My deepest sympathies for your loss. May the hope found at Revelation 21:3,4 be of comfort to you. Susan, I miss hearing your voice, seeing that smile and hearing that laugh. I think about you often and I talk to you often. I miss you so very much. I love you my dear friend, save me a place I will see you again one day.